Do you recall that there were many people sharing the Domino’s 50% Promo Codes sometime back between 7 Jan -7 Feb 2016? Yes, it was a one month social media campaign organised by the Influencer Agency- The Influencer Network. 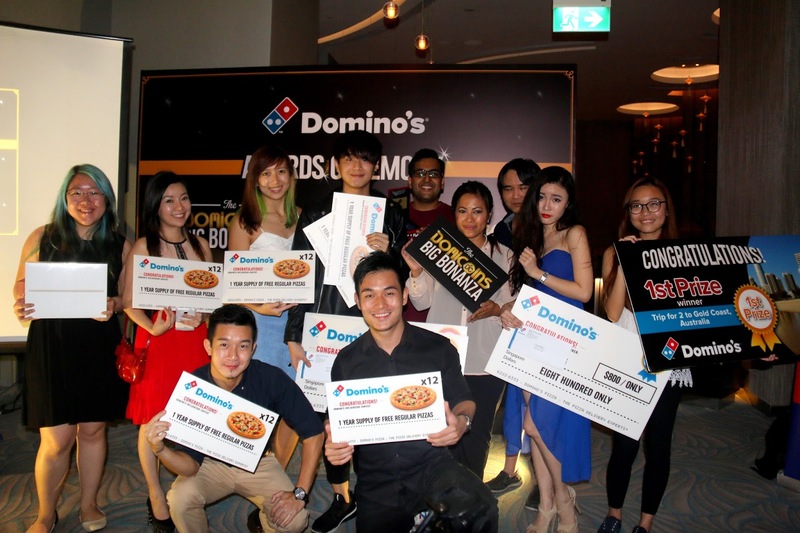 The Influencer Network gathered a total of 55 Influencers (Bloggers & Instagramers) to join in this campaign that was aimed at spreading the word on their love for Domino’s. Each of the social media personalities was given unique promo codes for their blog readers and instagram followers to enjoy Domino’s Pizza’s 50% off Large Pizza and Xtra Large Pizza. The campaign would not be successful if not for the help of all these influencers. The campaign garnered about 102 photos on Instagram and 27 online media coverage about the promo codes campaign. 2nd Place: Win Ting (No of orders: 152 Large and 168 X-tra Large) . 1st place winner- Janelle Jaw walked away with $1000 cash, Win Ting $800 and Shermaine $500. The other 7 influencers walked away with a year supply of pizzas. Congrats to all the 10 Influencers!!! We thank all other Influencers who have participated.